Cape Town – A savvy Cape Town-based brewing company has already crowdfunded R1m for shares in its business. 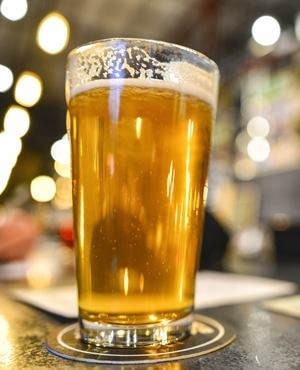 The Drifter Brewing Company of Woodstock has made calls for patrons to invest in their company under the slogan “drink your beer and own it too”. The company is using crowdfunding to raise capital, which they say they will invest in the company. And their drive is getting off to a flying start. In a statement released earlier in the week, the company said it intends to push its brew into global markets by launching the first public equity crowdfunding campaign in the South African brewing industry. It said it is seeking to raise R3m in investments. The crowdfunding initiative is being facilitated by Uprise.Africa, a platform for online equity funding. “The launch of the campaign has been met with immense interest and enthusiasm from the local investor community with investors from all walks of life wanting in on the action. Running an Equity Crowdfunding round gives Drifter the opportunity to open their funding round to the local public,” the statement said. The company has just under two months to raise R3m for 12.1875% equity and is already two-thirds away from meeting that target. On its website, Drifter is asking for patrons to invest a minimum of R1 000 into the business. The statement said although Drifter is expanding globally, the company is passionate about keeping its brand proudly South African and offering equity locally will help it reinforce that passion. “Drifter will use the investment of 3 million [rand] to increase the production and shelf life of their brew and scale up their production capacity in order to turn their existing facility into a world class brewing hub, exporting to the US, Europe and Asia,” the statement said. The company distributes a range of craft beer brands across the country and to countries in southern Africa and around the world.